Kids are always ignored when it comes to fashion and style, they are often left behind in old fashioned regular apparels, but in winter this ignorance could bring weird combo of colors with irregular layers of clothing on their body. 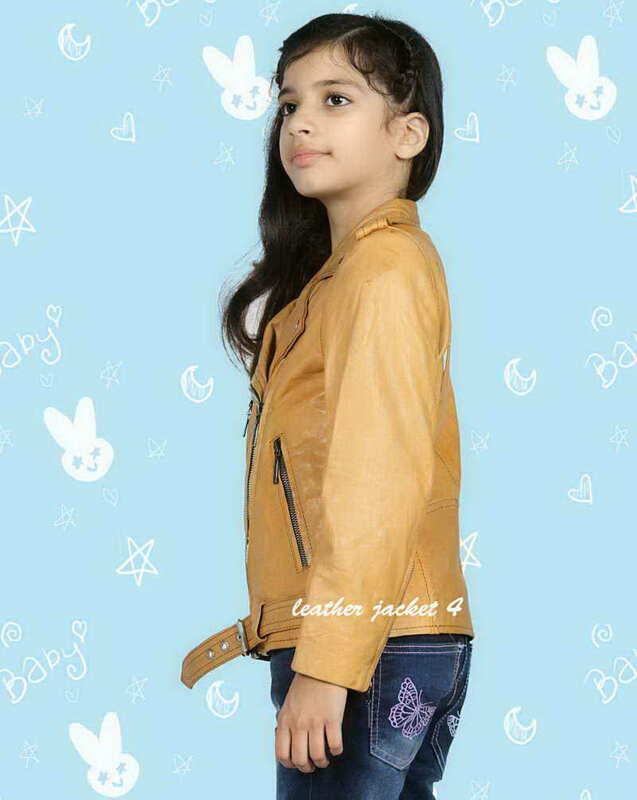 Hence, one ought to extend the spectrum of kid’s assortments specially in winter when It is all about layering more than one piece of cloths to give them a decent tone. This girls biker leather jacket could be the perfect solution in such situations to wrap warmly in single top having stylish and eye-pleasing theme of color and fitting. 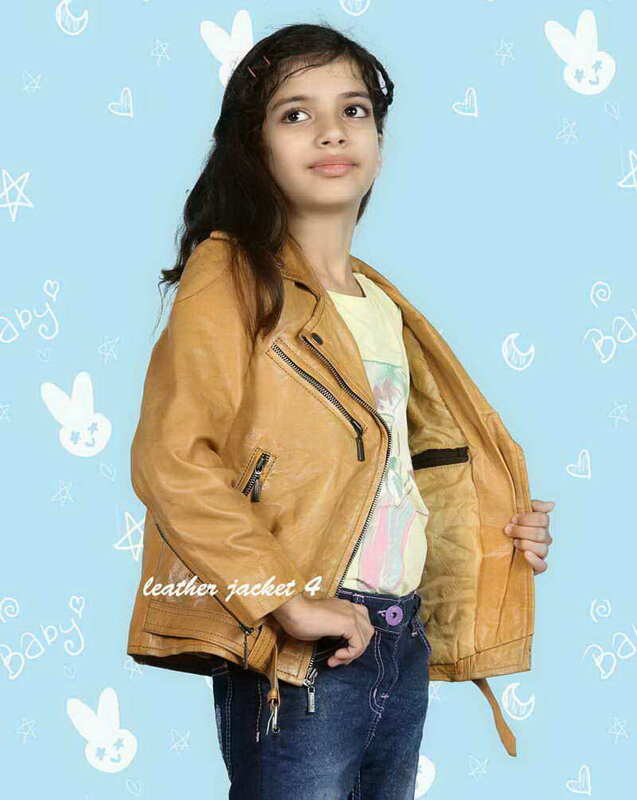 This Tan colored biker leather jacket is equally stylish and warm to wear regularly in winter or at some special occasion. It has lapel color with asymmetric cross zipper closing. Having one cross pocket on top and two vertical side pockets with chain openings. 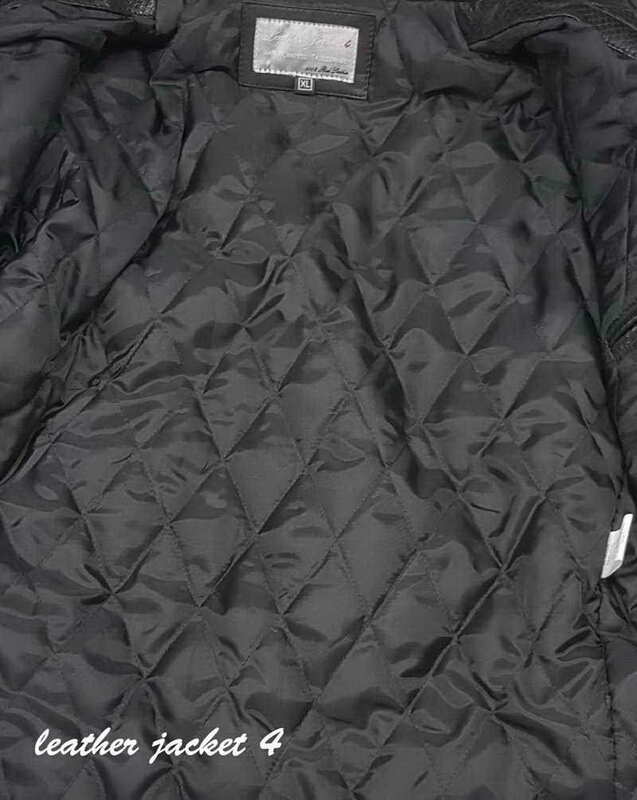 Inner is fully diamond quilted with 35mg for a fluffy caress over body. It is featuring with strap fastening belt around hem which adds an edgy touch. Thank You, II'm very delighted in reviewing this jacket, I lately got my teenage-girl Jacket , it is very comfortable and warm from inside. Would definitely recommend other to buy this from here.